Friday, March 22nd. 8pm. $6. Film, music, performance art, complimentary food and wine,& a raffle with special prizes! Technophobia is a film festival for 2013 that critiques the darkness of humanity, technology, and the future that is being born out of our society and culture. Featuring existential films by both local and international artists that explore such concepts as identity, morality, corruption, depravity, sexuality, and gender. 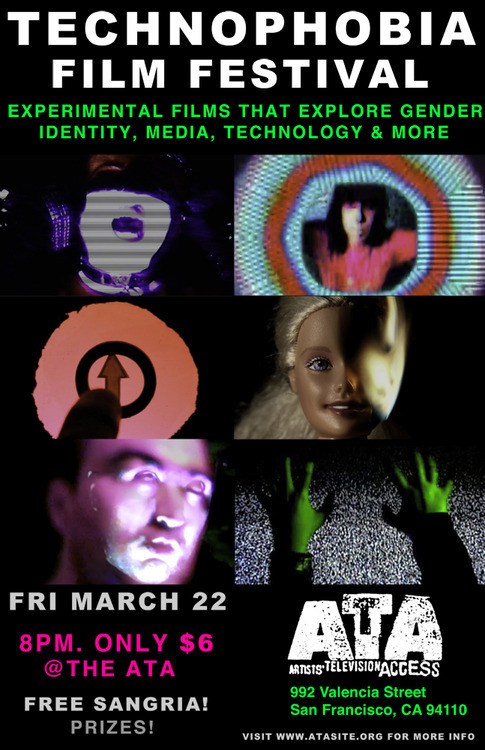 For this special SF screening, free food and beverage will be provided along with a raffle to celebrate the premiere of bay area artist Cassandra Sechler’s film Wireboy, which will also be screened at this event.